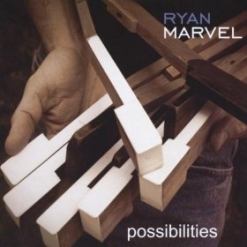 Possibilities is the second release from pianist/composer Ryan Marvel and his first album of all-original compositions. 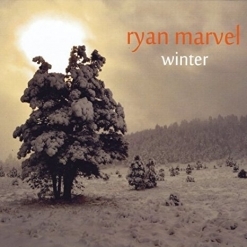 A classically-trained pianist from Durango, CO, Marvel started exploring composition and arranging at a very young age. He released his first solo album in 2005, Left Hand, Right Hand, which is a collection of classical pieces, original arrangements, and a couple of original works for piano. Possibilities was nominated for “2010 Album of the Year” awards by both Whisperings Solo Piano Radio and SoloPiano.com. Marvel characterizes the album as “a musical journey of personal reflection,” and the fourteen tracks all ring very true. The piano solos were composed from 1994-2010 and include pieces composed for a daughter’s birth, to grieve the loss of a grandmother, a love of wolves, lost love, and a choreographed dance. 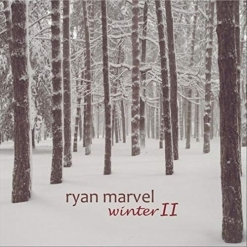 In addition to being a pianist/composer, Ryan Marvel is Director of Music and Choirs at Foothills Unitarian Church in Fort Collins, CO, an independent arranger and he has a full private teaching studio. Possibilities begins with “Five Years,” a prelude of sorts in its brevity and introductory feeling. It flows right into the title track, an energetic yet somewhat tentative piece that seems to express excitement at getting moving while holding back just a bit. “The Gift” is the earliest composition on the album, written in 1994 - very beautiful and heartfelt! “Dance” is a collection of themes and musical ideas that flow together much like the “dance” of life does - fascinating! “Tender, These Thoughts” is a favorite. Stunning in its openness and honesty, it expresses soul-baring emotion with a minimum number of notes. “Wolf” does a wonderful job of describing the wild beauty of these animals while also expressing their struggle to survive in the natural world. “Lost Love” again expresses so much with so little. Poignant beyond words, feelings of loss and pain flow from the heart of the composer to the heart of the listener - also a favorite. “Lanie’s Theme” is the song Marvel heard when he first held his daughter - so delicate, fragile, and overflowing with love. The closing track, “For Rose,” was improvised in Marvel’s home studio shortly after his grandmother’s passing. Rather than intentionally composing a piece in her honor, this was “a grandson letting healing musical thoughts escape.” No mastering was done on this track, so it is as Marvel created it. The emotional expression in this wonderful piece is pure, and I’m sure much healing took place in its creation. I missed out on Possibilities when it first came out, so reviewing it six years later has been a real treat! 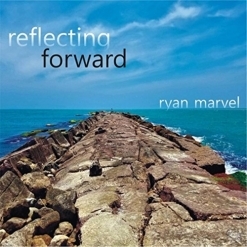 The album is available from RyanMarvel.com, Amazon, iTunes, and CD Baby. Very highly recommended!